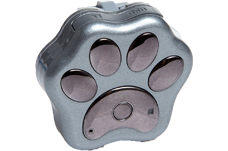 Pet trackers are devices that allow you to pinpoint your pet’s location and monitor their daily activity. 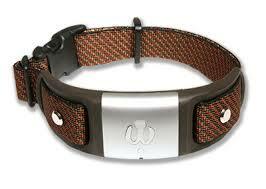 The trackers are either built into a collar or can be attached to an existing collar. Whistle is the most popular pet tracker. 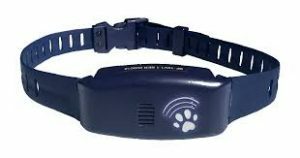 The first pet trackers were all about monitoring the location of your pet. Newer models have more of a health focus, tracking things like activity levels, sleep habits, respiration and body temperature. This device is intended more for monitoring your pet’s health than their location. The collar uses sensors to track temperature, activity, pulse, respiration, calories consumed, heart rate and other health-related statistics. Can send health alerts to your smartphone and to your vet’s office. Tiny device that can be used by small dogs and cats. 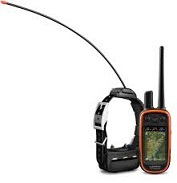 GPS tracker, activity monitor, walk route recorder, virtual fences are among the features. Currently seeking funding on Indiegogo, the Chord collar will focus on helping you train your pet. Other features will include health monitoring, invisible fence and lost pet finding service. Another smart collar that focuses on the health of your dog, the Jagger & Lewis collar can detect abnormal or high-risk behavior and send alerts to your smartphone.